As a video and photo hobbyist, I’m always wanting to push the limits of what I can capture, and depending on the conditions and occasion, am limited by the equipment. A lot of times, these limits can be overcome by thinking of creative alternative solutions, but occasionally you run into events where you simply do not have the time or manpower to execute these solutions efficiently. Although I have invested over $10,000 worth of gear, sometimes you just wished you had that one extra item just for a specific event. The solution: gear rental. I’m not a professional cinematographer or photographer, and don’t do it for a living, therefore never really imagined myself renting any sort of equipment gear. I have a 5D Mark III with a decent arsenal of lenses, including the 24–70 f/2.8L II that has met all my needs for most of things. An event came up where I needed an better telephoto, along with other equipment that would make the evening a lot smoother, but didn’t need these items after the event per se. I’ve been eying the 70–200 f/2.8L IS II for the longest time, so this was a great opportunity to try it. 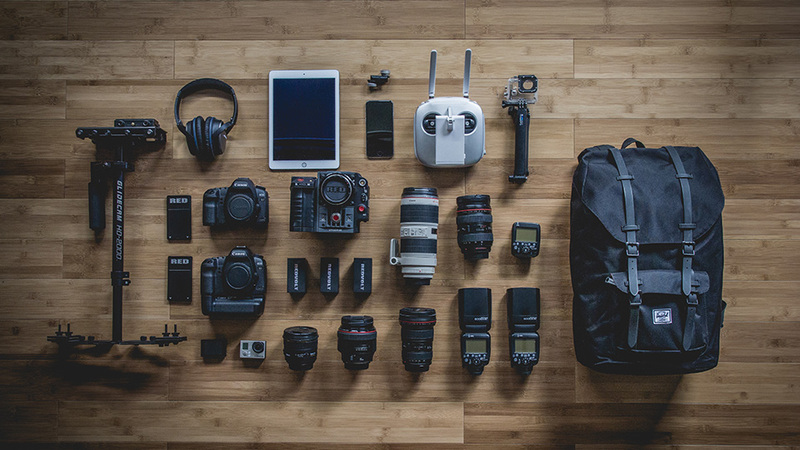 The top places to rent gear are BorrowLenses, LensProToGo, and Lumoid. The best thing to do is to not be loyal to any company due to convenience without reason. Most places are all top notched companies with quality gear, fast shipping, and good customer service, but the main reason is that prices can fluctuate a decent amount. Check all big places before you place a gear rental as it might be cheaper somewhere else depending on the item and inventory. The process is just like renting textbooks online for those of us fortunate to attend school in the online age. You simply sign up, go through an extensive identity check, select what gear you want, when you need it by, and how long you’ll need it. They’ll ship it to you by your selected date (usually with 1 day shipping or overnight to ensure it makes it) and you have the option to insure the equipment, which I’d recommend. Once you’re done, shipping the equipment back is easy since they give you a shipping label, and you simply ship back the items using the same box that was shipped to you. Let’s just say I ended up buying the 70–200 after the rental period. Renting gear is a great way to get to play around and test the latest equipment, especially before you end up buying it. It’s actually very affordable as well if you’re not renting crazy cinema cameras, and can make your life a lot easier if the event is a hectic one. I would definitely recommend trying it out, it’s something that I will definitely now be doing in the future.